Holiday properties available in Wales in the United Kingdom. Below is a list of cottages available over the next 12 weeks in Wales in the United Kingdom. 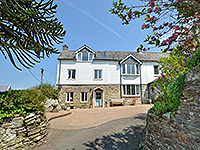 Click on the holiday cottage that interests you for more details. If it's the one for you, just contact the owner.